If you live in an old home or you are having electrical problems you may want to consider calling an electrician. According to the U.S. Fire Administration, fire departments in the U.S. respond to over about 25,900 electrical home fires. These fires cause 280 deaths and $1.1 billion of property loss. These numbers are especially alarming when electrical problems can be avoiding. Having an electrician inspect your home and locate any problems is a good way to keep you and your family safe. If you are having issues with your electrical system it will be very apparent. Constant tripped breakers or blown fuses can indicate a problem. Another sign is problems with lights and light bulbs. If your lights dim or flicker on a regular basis you may have a circuit overload or a loose connection on your hands. Light bulbs that constantly burn out in the socket can indicate that a fixture can’t handle the wattage. Electrical shocks, arcs, or sparks when using an outlets can be alarming warning signs as well. Plugged in appliances might also create crackling sounds and burning smells as well. Any of these warning signs should be taken very serious. A call to an electrician will be in order. Some electrical hazards might be present in your home without showing warning signs. If your home is older than 40 years an inspection conducted by a certified electrician is a good idea. A new addition to the house or bringing in a new appliance are both reasons to inspect the current wiring as well. If you are considering adding some upgrades to your home you should definitely call an electrician as well. Certain jobs should not be done by just any handyman. Installing security systems, sounds systems, hot tub wiring, or home theaters should always be done by a professional. The risk of fire or creating fire hazards is very high. 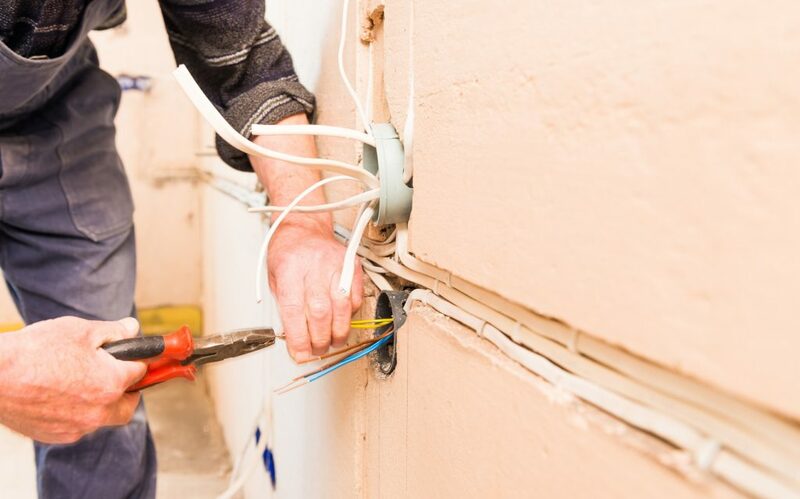 Whether you need your home’s wiring inspected or you need some upgrades added our electricians can help. At Omega Electrical & Mechanical Contractors we offer a wide variety of services. Contact us today for more info.